Jamie McCarthy/ Getty ImagesCharlie Sheen attends the 24th annual Elton John AIDS Foundation’s Oscar viewing party. Seven months after he revealed he was HIV-positive, Charlie Sheen went back on “Today” to talk about living with the illness and what has changed since the initial interview. Publicly announcing his HIV-positive status was like “being released from prison,” the “Two and a Half Men” actor said. 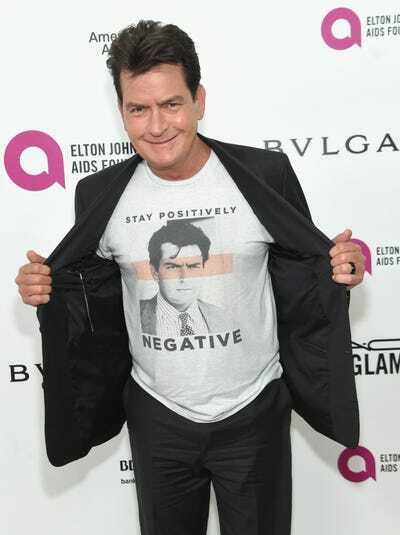 Sheen maintained his affinity for honesty when he admitted to some regrets. However, he did admit to not always revealing his HIV-positive status. “Protection was always in place. It was for the right reasons because everyone that I had told up to that moment had shaken me down,” Sheen said.